Unqua Elementary School physical education teachers Michael Dellicurti and Melissa Osborne gave students a goal of raising $27,000 for the American Heart Association through the annual Jump Rope for Heart event in April. Not only did they achieve that goal, they exceeded it. Students at the Massapequa elementary school collected $30,315 for the organization dedicated to fighting heart disease and stroke. As a reward, the entire student body gathered on the basketball courts on June 12 to watch Mr. Dellicurti and Ms. Osborne get hit with pies. Any student who raised at least $200 got to hit one of the teachers with a plate full of whipped cream. The top 10 earners got to pie both teachers, including Sofia Dalton who raised $1,042 and Leah Johnson who collected $1,000. 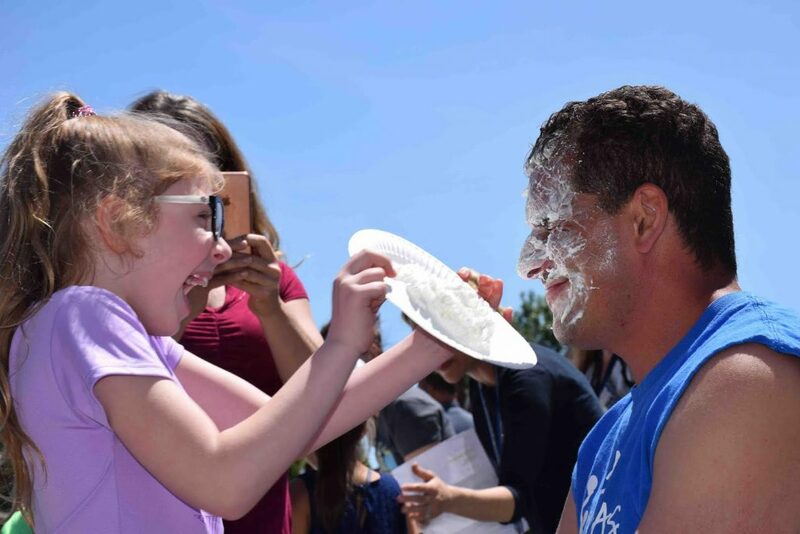 1: Unqua Elementary School first-grader Brynn Kavanagh, who raised $220 during Jump Rope for Heart, was able to hit physical education teacher Michael Dellicurti with a pie as her reward. 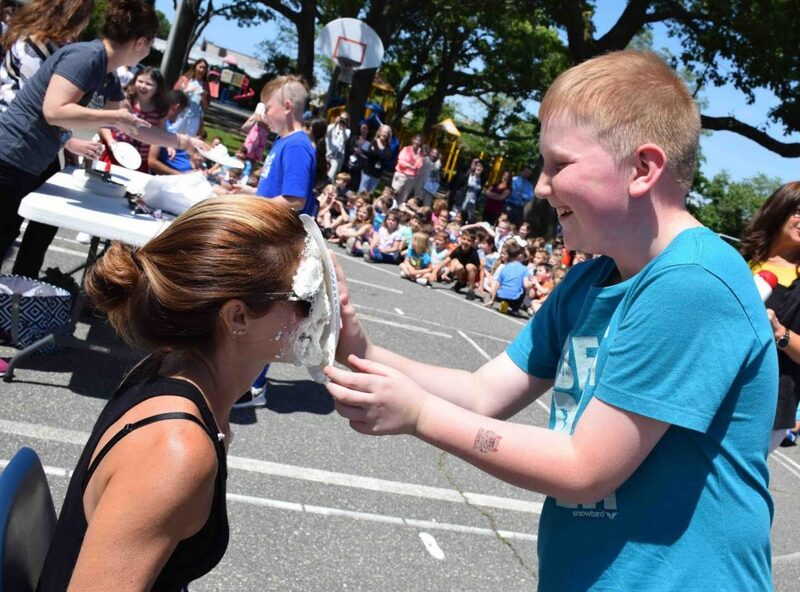 2: Fourth-grader Gerrit Dabovich gave physical education teacher Melissa Osborne a face full of whipped cream for raising $262.